It’s been a busy and exciting start to 2018 for us so far. At the minute we are in the studio about halfway through recording album number fifteen (!!!) and things are sounding excellent. For this album we have reunited with Chris Sheldon as producer and we’ve been enjoying the creative and productive working atmosphere. 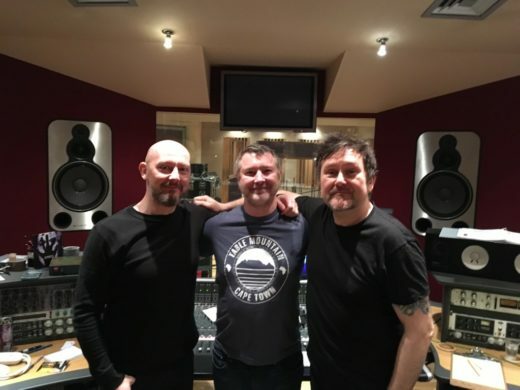 Its likely you know Chris’s name from his sterling work on Troublegum/Semi-Detached/High Anxiety as well as albums by Foo Fighters, Biffy Clyro etc. Once we are done recording mid-February, Chris will mix the tracks with a plan to getting some new music out later in the year. Chris Sheldon in a Therapy? sandwich! We’ll not be slacking as we already have a host of shows booked starting with a lengthy run around Eire/N. 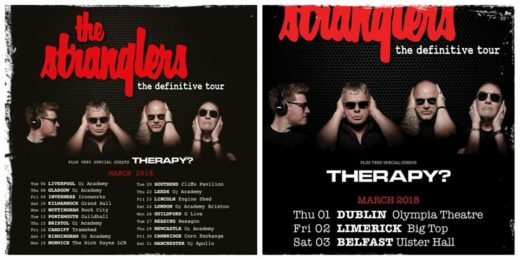 Ireland/Scotland/England/Wales with The Stranglers right through March. We don’t need to tell you that we are huge fans of the band and we’re really excited to be part of this great package. All the dates are listed HERE. The Stranglers/Therapy? tour March 2018! There are a couple of festivals in place already (more pending! ), Bearded Theory in the UK plus the Rockavaria Festival in Munich and Street Mode Festival in Greece. 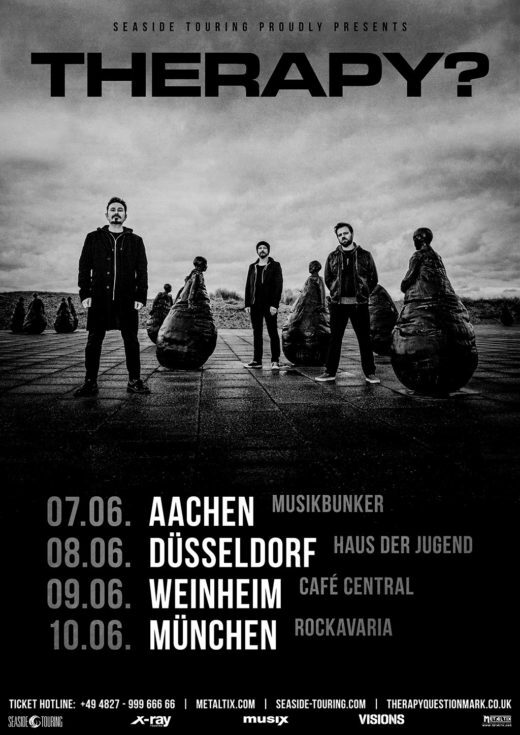 Also note we have a short run of German club shows in the days prior to Rockaveria if you cant make the festivals.